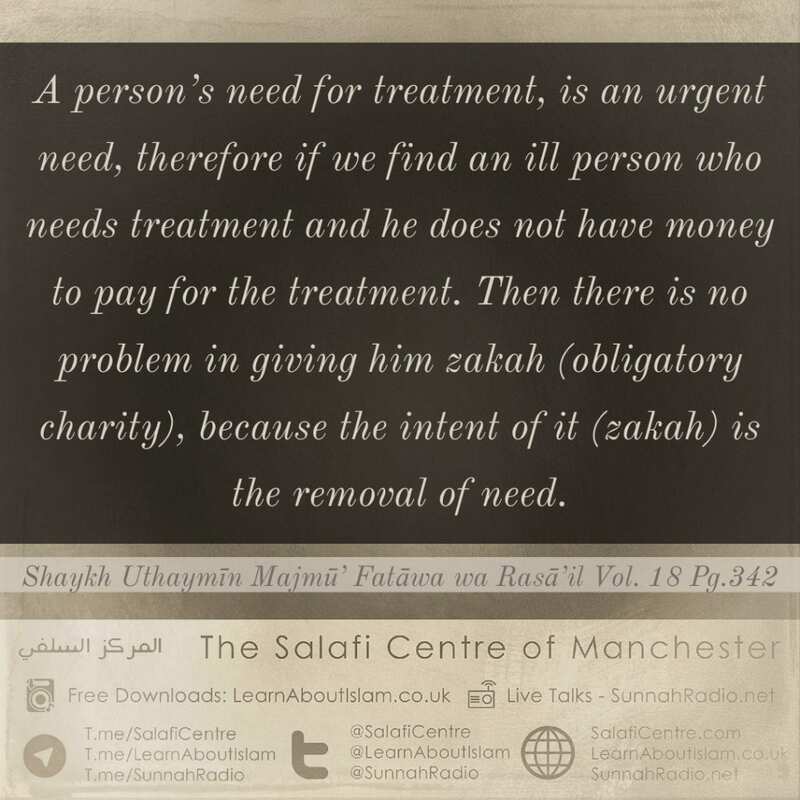 Shaykh Uthaymīn was asked about the permissibility of giving zakah to a person for medical treatment. A person’s need for treatment, is an urgent need. 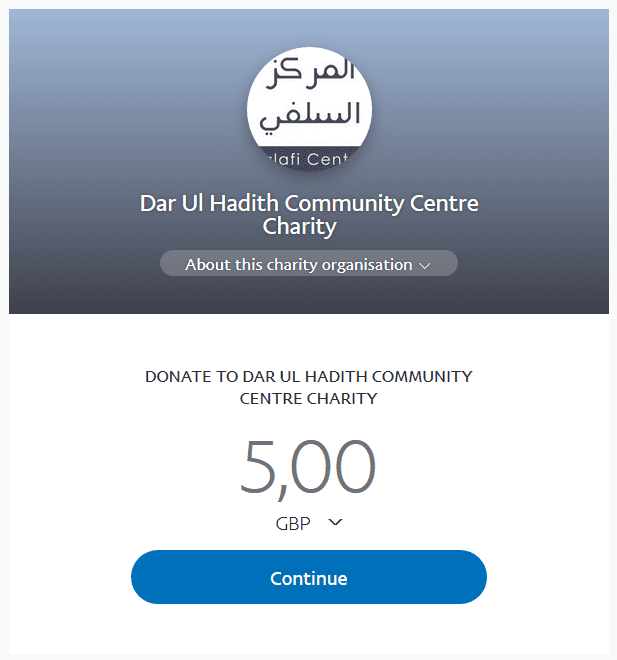 Therefore if we find an ill person who needs treatment and he does not have money to pay for the treatment; then there is no problem in giving him zakah (obligatory charity). Because the intent of it (zakah) is the removal of need.